With their win over the LA Kings last night, the NHL’s expansion-team extraordinaire Vegas Golden Knights took a commanding 3-0 series lead and continue their miracle season. 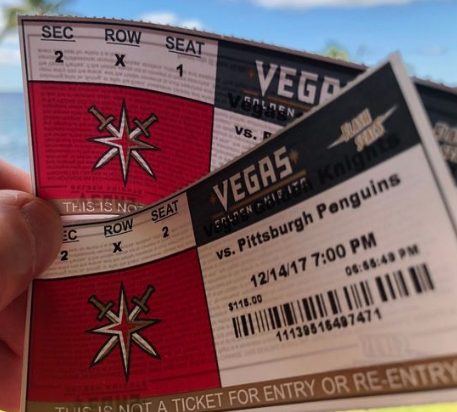 As a result, demand for Vegas Golden Knights playoff tickets are not only the hottest ticket in Vegas, but also the NHL. At 7/1 odds, their casino-boss neighbors have also made them one of the favorites to win the Stanley Cup. In addition to having the best championship odds of any expansion team in history, it’s a good bet that their gambling-friendly ethos will help fill seats at T-Mobile for years to come. Their inaugural season will also likely be remembered as the ‘gun-firing’ moment in live sports’ expansion into the $500 billion gambling market. Prior to the Knights, the NHL’s effort to bring hockey to the desert been a wet and soggy mess. Now in their 21st year, the Phoenix Coyotes moved from Winnipeg to Arizona in 1996, and have won a total of 11 playoff games in that time. That’s a pace of less than one playoff win each year of existence, well under the Knight's current pace. As a result, the ‘Yotes’ filled home games at a depressing 76% of capacity - one spot ahead of the league-worst Carolina Hurricanes. While VGK’s 100%-plus attendance has been driven by several factors--including a metropolitan coming-together following the worst mass shooting in American history--it’s proximity to and acceptance of gambling may the thing that other team owners notice most. Ted Leonsis, the owner of the Washington Capitals and Wizards, may be most interested for reasons I detailed in a Techcrunch article last year. In an excellent article last month on the future of live event gambling, Darren Rovell frames Leonsis as purveyor of a future gambling-infused game-day experience, where betting is as much a part of the appeal as beer and dogs. Time will tell how much of his vision is imagination versus real. In the meantime, the Supreme Court pending decision on ‘Christie Vs. NFL’ will have a lot to say about who can do what, when. While parties are typically at odds in a lawsuit, this case on the potential repeal the Professional and Amateur Sports Protection Act of 1992 (PASPA) has everyone aligned around the benefit of gambling to the bottom line, for both teams and state. 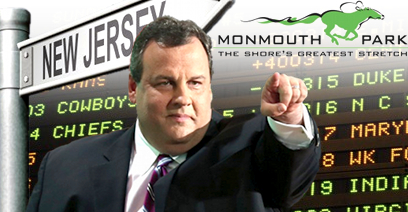 If PASPA is struck down, as is widely expected, Christie has said that New Jersey could go live with sports gambling ahead of the 2018 NFL season, at Monmouth race track. With at least four professional sports teams in the Garden state, and Leonsis just 200 miles down I-95, the NJ-DC-PA corridor could become a hotbed of live sports gambling innovation. Depending on how it plays out, it could the first meaningful response to television that live sports have had in the 25-year battle against the couch. The last time an expansion team qualified for the playoffs in 1979-1980, Wayne Gretzky was the NHL’s rising star. While the Oilers lost their first series that year to the Flyers, they would win enough of them to collect five Stanley Cups in the next decade. The Oilers also gave the NHL a bonafide mass-media star that would set the foundation for the league’s current $2 billion TV deal with NBC. Amidst the current wave of inward-facing nationalism, the time for gambling-driven growth model appears nigh. Unlike the internationally-driven expansion efforts that have stretched out the NFL, NBA and MLB to London, Mexico and China, gambling-driven expansion will keep people close to home. More importantly, it will keep people close to their phones and the apps that will power a gambling-infused game day going at a piece of the $100 billion legal gambling marketplace. After a five-year rebuild, the Devils of New Jersey are back in the playoffs for the first time since Martin Brodeur retired with three Stanley Cups of his own. For their first-round games at the Prudential Center in 2018, the average price for a ticket is $242 which makes it the fifth cheapest first round home series on the secondary ticket market, and $200 less the Vegas Golden Knights. If sports gambling is legal New Jersey next season, a Sportsbook at the Prudential center could take bets on games around the country and world, including the main. For a marquee events like their, demand might be double current prices, drawing in demand from dollars that previously would been lost to a Casino. The fact that they'll likely be watching several other games with the same or more interest than the game they've come to watch is something that we’ll all have to get used to.